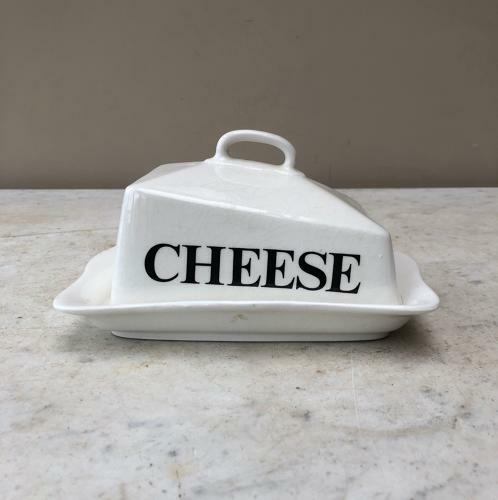 Rare Early 20th Century White Ironstone CHEESE Dish....CHEESE on both sides with its Original Stand, all in very good condition. This is earlier than the similar Masons Cheese Dishes that you see c.1940. I have only ever had two like this one. Lovely item to display or use. Light age crazing only, no damage at all. Clean with no staining.